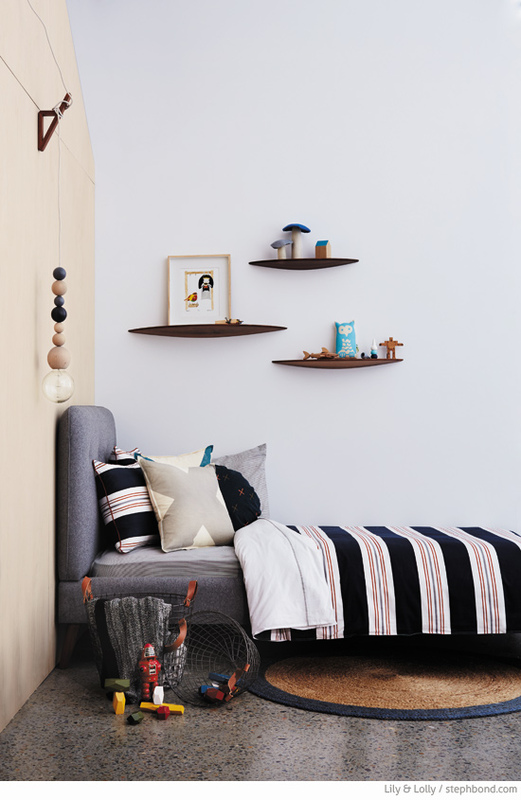 Bondville sponsor Lilly & Lolly has nailed the mid-century modern aesthetic with the gorgeous Charlie collection of handcrafted bedroom furniture for kids, made in Australia. 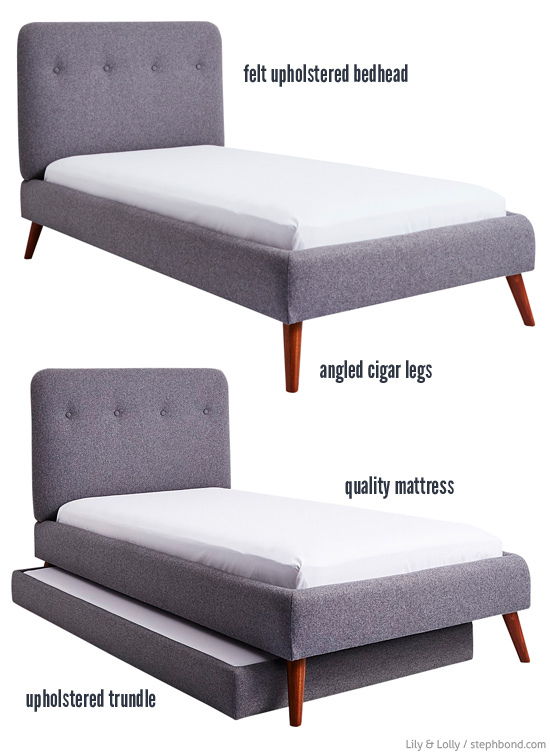 Oh for those angled cigar legs, with the half moon shelves, and graphic split button drawer pull features on the matching furniture. Charlie is seriously stylish. Lilly & Lolly have put a 2015 spin on this style with the grey felt upholstered bedhead, and crisp white and hot pink bedding. Choose from grey (pictured) or charcoal upholstery and blackwood stain (pictured), natural stain or white wash legs. The Charlie bed also offers an upholstered trundle for sleepovers. Complete the range with matching bedside table, chest of drawers, half moon shelves, desk and bookcase. 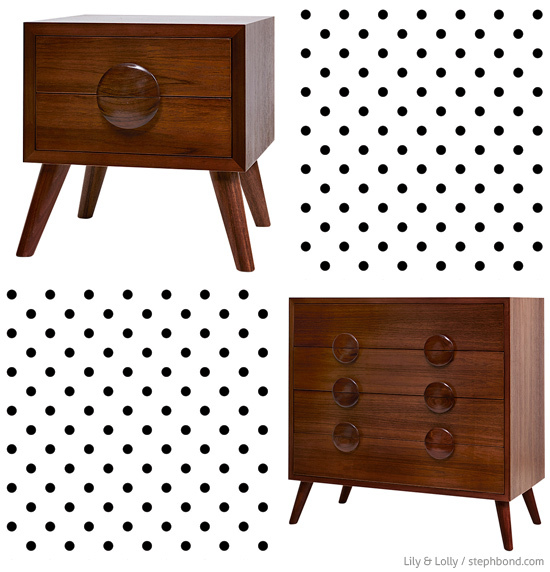 The vintage-style split-button drawer pulls are stylish and amazing handcrafted quality. Also available in blackwood stain (pictured), natural Tasmanian oak or white wash. It's a stunning collection that speaks to our current love of Danish and all things Scandi, with the quality of Australian craftsmanship and Tasmanian oak timber. 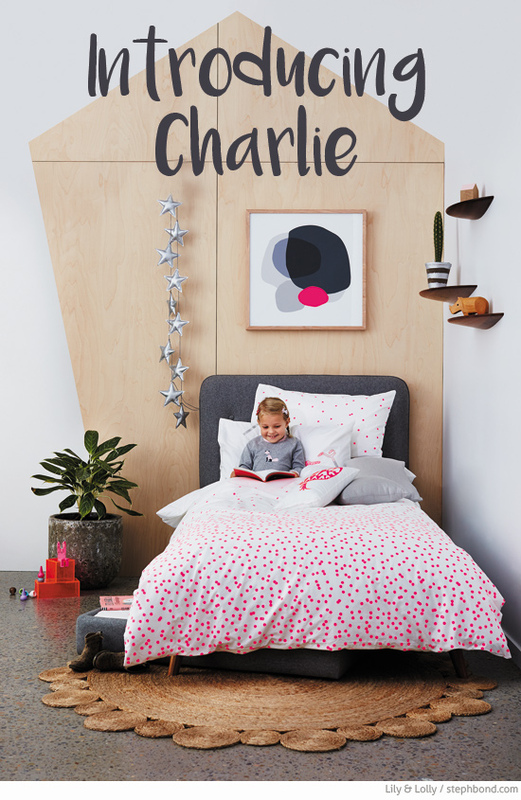 You can find the Charlie collection in the Melbourne and Sydney Lilly & Lolly stores and in the online store.